Virtually every single murder mystery that's being written today takes place in the present day, with few daring to venture further back in time when one had to rely on logical deductions rather forensic technology to move the case forward. 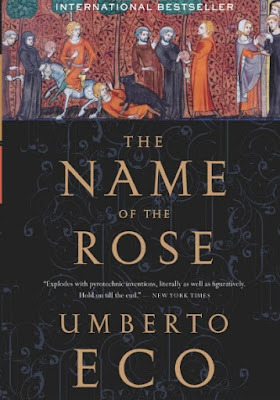 It is rather rare to see a good murder mystery that takes us hundreds and hundreds of years into the past, as Umberto Eco did with his world-famous The Name of the Rose, which as some of you know graced the silver screen as a renowned movie starring none other than Sean Connery. The story takes place in the year 1327 and follows a certain Brother William of Baskerville, a disciple of God who is far from the person you'd expect him to be. Rather than be led by superstition and religious zeal, Brother William is the kind to place reason and logic above all else, naturally earning somewhat of a disdain from his peers. 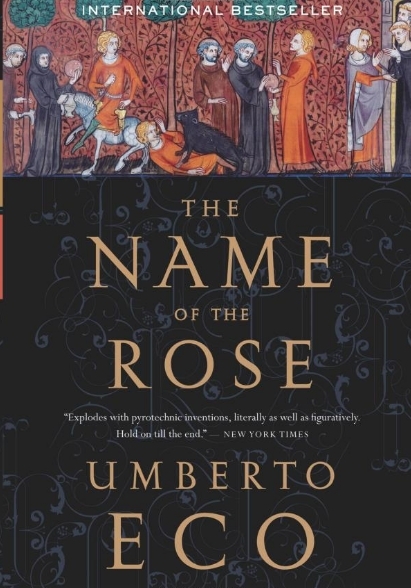 However, his talents aren't ignored as he is tasked with an important mission: investigate an Italian abbey where some heresy is suspected of occurring. Upon his arrival, Brother William finds himself drawn into a much more sinister mission than he had anticipated, with seven bizarre deaths suddenly befalling the abbey. Putting on his detective tunic, Brother William proceeds to unravel the bloody thread by collecting evidence, interpreting clues and their implications, deciphering codes... diving ever so deeper into the abbey's morbid labyrinth (both physical and metaphorical). Harry Bosch and Mickey Haller are both rather well-known icons of the thriller world at this point, both operating on the same side of the law, but each one in their own respective domain. Harry Bosch is a detective while Mickey Haller is a defense attorney, the kind whose clients are rarely innocent. The two don't cooperate more than need be, but in The Crossing by Michael Connelly, they are left no choice but to pool their forces to stop an innocent life from being wasted. 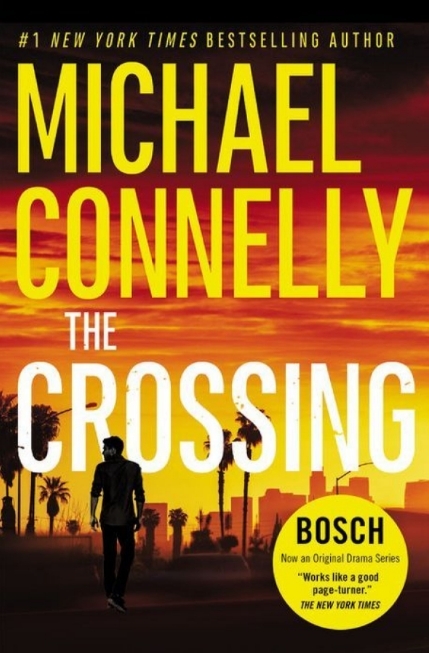 As the novel starts, we learn that Harry Bosch is actually no longer working for the Los Angeles Police Department (LAPD), but nevertheless his half-brother Mickey Haller has the kind of complex task Harry can't help but sink his teeth in. Mickey's client, Da'Quan Foster, is accused of having beaten to death a woman named Alexandra Parks who worked as an assistant city manager in West Hollywood. There are six weeks to spare until the trial, and Haller firmly believes that his client has in fact been set up, and truly is innocent for once. While Bosch certainly doesn't feel overjoyed at the idea of working alongside the lawyers he can't stand, he still can't let a miscarriage of justice occur, not at least without trying to do something about it. Along with help of his former partner, Lucia Soto, they begin to dig up questions upon questions, eventually coming face-to-face with a large conspiracy, its participants wallowing in corruption, greed and brutality. The meaning of life is probably the oldest question we've been struggling with, one to which the majority of us don't expect to find an answer to, not any time soon at least. The lines of thought vary greatly why each and every one of us lives, ranging from the fulfilment of a unique destiny to complete meaninglessness and nihilism. Some of the greatest thinkers, however, never give up on the question and strive to uncover the essential element behind our reason for being... and thankfully, many of them happen to be authors, like the renowned Paulo Coelho. 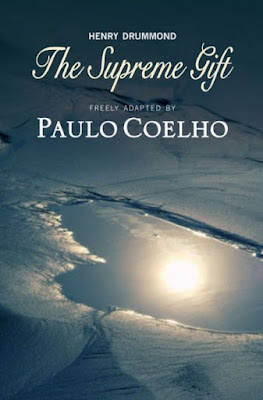 In one of his more recent publications, The Supreme Gift, Coelho takes a different path than what we are used to seeing from him; whereas his best-known works gravitate towards the mystical and religious, this time he looks beyond those barriers at the one primordial element uniting all of us. But more precisely, this rather short book focuses on Paul's letter to the Corinthians, a passage most people who are acquainted with the Bible remember to some degree. We are presented with a re-telling of that story, one that is more suitable for a novel and complemented by the author's own peals of wisdom that came to be from his inspiration after reading the original text. 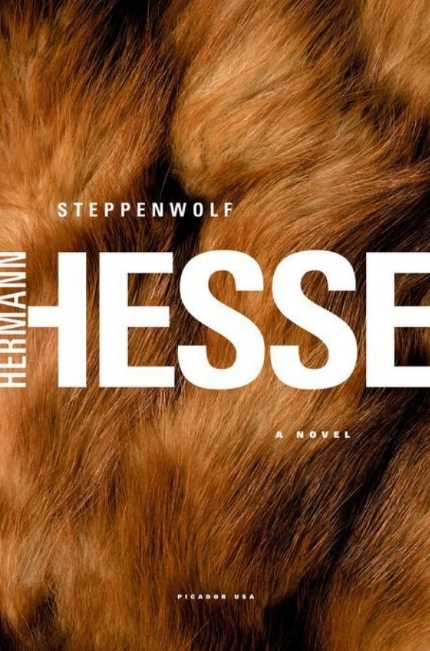 Hermann Hesse was definitely a very unusual person whose life followed a rather difficult path. Amongst countless afflictions he had to deal with was the deteriorating mental health of his first wife, a variety of physical ailments as well as a non-stop criticism from German nationalists who accused him of being a pacifist during the First World War. As the tragedies of his life accumulated he began to waver, eventually resulting in a nervous breakdown, one that changed his life forever. During these dark days, Hesse underwent Jungian psychoanalysis, and it changed his outlook on the world, so much that he subsequently penned his most revered masterpiece, Steppenwolf. As a book Steppenwolf isn't very easy to describe, practically making for a unique genre all on its own. The story is structured into three basic parts. In the first one we are introduced to the main character, Harry Haller, who is basically a representation of the author himself. We get to learn about his life, about what makes him tick, his idiosyncraties... basically who he is as a person. The second part of the book focuses on Haller's inner world and the intense psychological conflict raging within between the different aspects of his psyche. In the third part of the book, we march onwards towards the resolution of this inner conflict, the reconciliation between the different fragments of his personality to once again form a fulfilling whole. The Rho Agenda Inception series, though intended as a prequel, basically became a whole adventure on its own with its set of unique questions and mysteries we're dying to have answers to. 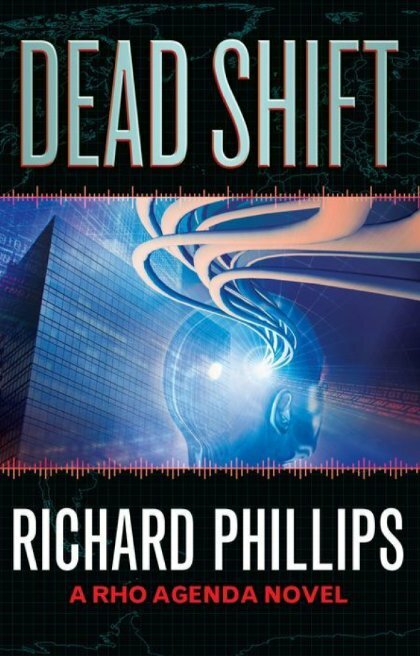 Unfortunately, all good things must come to an end, and with Dead Shift, Richard Phillips concludes this series, and with a huge bang no less. Just a quick disclaimer, though you probably could enjoy this book without having read the two previous ones, I find it doubtful. It is a continuous story, and without context many of the book's events lose meaning and impact. In any case, on with the show! Following the events of the previous book, Jack and his team of commandos are called upon for what will perhaps be their most important and impactful mission yet. The NSA's most talented hacker and the whole world is pointing digital guns at each other, hot and ready for a worldwide cyberwar to begin. 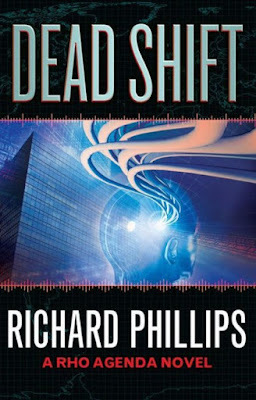 Needless to say, the team finds quite a few obstacles on their way to success, including the Chinese government, tech-billionaires, and a “superintelligent” being whose abilities might very well make him the most powerful being on the planet, far ahead of what anyone thought possible. Along the way, Jack keeps on fighting and struggling against the alien inside of him, trying to control it, learn what it is, what it wants, and of course, how to get rid of it. Serial killers have captured our imaginations since the times of Jack the Ripper; the idea of an unpredictable, homicidal psychopath who cannot be reasoned with really helps to bring out the fear and paranoia within us. After all, in modern society where most people learn to keep their “dark urges” covert, anyone could potentially be a serial killer, even those close to you. Fortunately, in real life serial killings really aren't all that common, with there certainly being more of them in literature than anyone else. 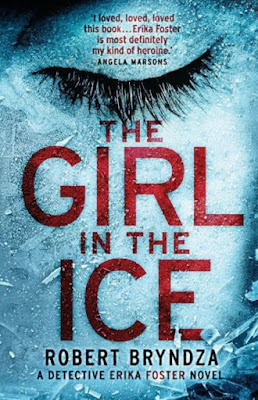 With his debut crime thriller, The Girl in the Ice, Robert Bryndza adds a valuable gem to that collection. The novel begins with the introduction of Detective Erika Foster, returning to the job following a long leave of absence. Without tarrying on too much, a poor worker discovers the body of a missing girl in a frozen pond, with obvious signs of homicide all around. She turns out to be a rich socialite whose father has more than a few connections in high places. 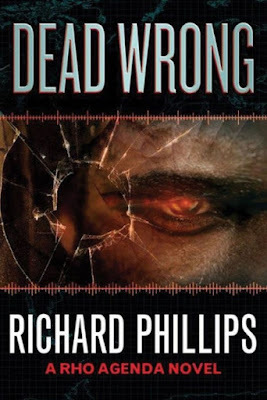 Though her superiors are almost consistently shooting down her ideas, Erika believes more and more that this murder is connected to previous killings with the same modus operandi; three other young girls, all prostitutes, were strangled and dumped in some body of water. As the clock ticks, an increasingly desperate race is run by the police to catch the killer before he strikes again, or perhaps even vanishes for good. When the choice between life and death fluttered before the eyes of Jack Gregory, he didn't hesitate much and opted to stay in the world of the living, no matter the cost. As it turned out, the price he paid was a rather unusual one, as an alien entity became bound to his soul, basically using Jack as a host. What's more, Jack quickly found out that this alien has rather homicidal ambitions and a tendency to cause visions. 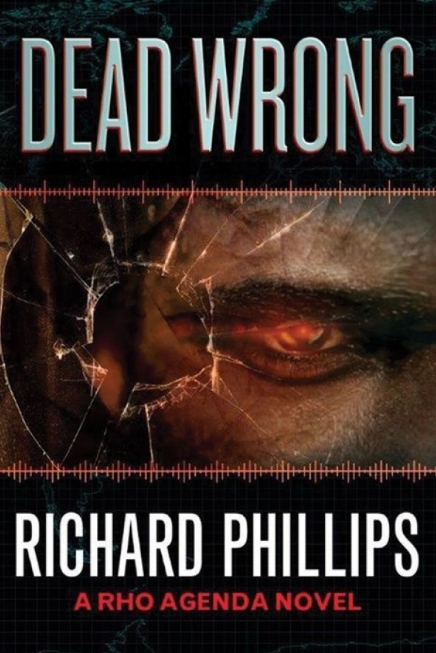 In Dead Wrong, the second book in The Rho Agenda Inception series by Richard Phillips, Jack Gregory, now nicknamed “Ripper”, is still struggling with the alien inside of him, but that's a problem he'll have to put on the back burner for now. He has been hired for a most complicated mission, one that could be of the suicidal variety. He must rescue an imprisoned shaman in South America in hopes of retrieving the Sun Staff, an indescribably old and immeasurably powerful alien artefact that, needless to say, cannot fall into the wrong hands for it has the potential to change the course of history. The clock is now ticking for Jack, who amidst all of his woes has to contend with neo-fascists as well as the National Security Agency, the latter of which has sicked their best (and apparently most attractive) agent after him. It is said that opposites supposedly attract in life, but most of us have observed that only to be true for magnets. As it happens, people who are quite different tend to have unfulfilling friendships or relationships, if not outright being on bad terms. Nevertheless, in life as in literature, miracles do happen sometimes and the most surprising combinations can lead to the most unexpected results, as it does Jojo Moyes' One Plus One . 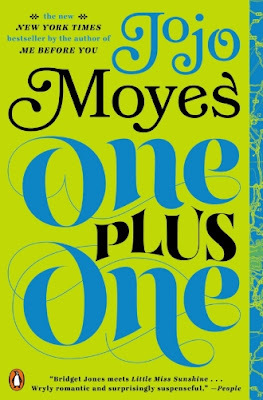 In this novel we are introduced to Jess, a hard-working woman whose life is in very strange shambles. Under pressure from all the terrible decisions he's made, her husband decided to go away and live with his mother for a couple weeks... that was two years ago. Jess is working multiple jobs to provide for her two kids, one of which isn't even hers. 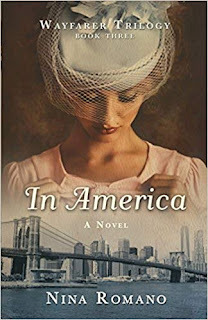 She's barely making ends meet, her son is having trouble with bullies, while her mathematically-gifted daughter has been offered an education in a prestigious school in London, something the family simply cannot afford. Though wars are quite often depicted in both movies and literature, some of them even lauded for their realism, there is simply nothing that can come close to first-hand accounts of the people who have actually survived through them. 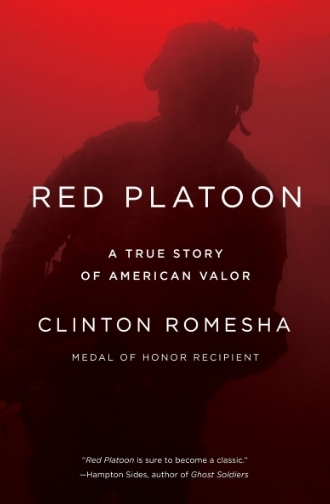 Those of us fortunate enough never to witness war can never really be certain that what we're presented with is an accurate depiction of reality... unless it comes from people like Clinton Romesha, a United States Army solider who was awarded the Medal of Honor for his heroic actions in the 2009 Battle of Keating. 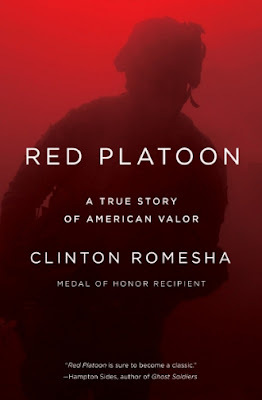 In his book Red Platoon, Romesha takes it upon himself to give an accurate and detailed account of what led up to the battle, and the fourteen hellish hours spent on the edge of the abyss, until the counter-attack finally drove the enemy back beyond the wire. We get to learn quite a bit about the base itself, it's significance for the U.S. Military as well as the various tactical pitfalls and vulnerabilities it presented. We also learn about the people who fought beside Romesha, who they were, the sacrifices they made, the inferno they all had to endure. Living life in the shoes of a person such as Jack Reacher is truly hard. A master of all trades and badass in all categories, the same rules that apply to the average person are often forgotten. In situations that most people would much prefer ignoring, Jack will be the one to intervene. Though that may make him somewhat like a hero, it also draws him onto some dark, twisted and dangerous paths that may very well prove lethal for him, as is the case in one of his newer adventures, Make Me by Lee Child. 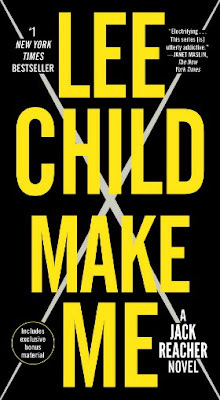 Things start off quite innocently as Reacher finds himself in a small and nearly-deserted little corner of the world called Mother's Rest. The secret as to how the town got its name seems to be more firmly guarded than the recipe for Coca-Cola, with none spilling so much as a hint about it. In this little town, Jack comes across a woman named Michelle Chang, and she mistakes him for her partner who went missing. She believes it had to do with a small-time investigation that somehow turned very dangerous, and that her partner may in fact be dead. While most people would nod and wish her luck, Reacher decides it's time for him to get involved, especially since he has nothing better to do.